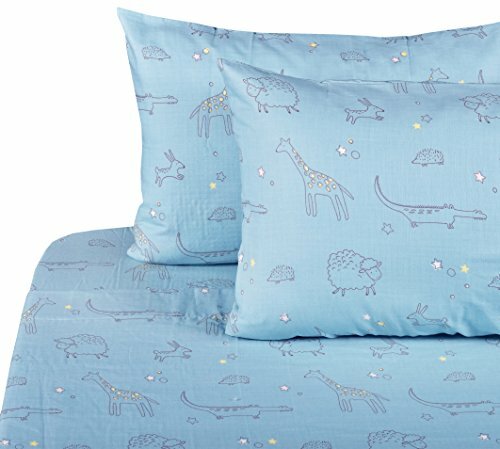 This twin sheet set set is made of 100% combed cotton, double layer muslin. This double layer muslin keep air inside, make the bedding soft, lighweight, breathable, quick dry, keep your skin warm and dry all the night. 100% high quality combed cotton. no pilling, no fading, hypoallergenic, breathable, super soft & cozy & natural. 1 flat sheet: 80"X 92", 1 fitted sheet: 54" X 75" + 14", 2 pillowcase: 20" X 30 "
This double layer design keep air inside, make the bedding soft, lighweight, breathable, quick dry, keep skin warm and dry all the night. children's tender skin enjoy the felling inside, the best choice for kids sweating night. Enjoy life & save a clean earth for our kids. The pure cotton is 100% degradable, and all our pacakge is simple packaging.